A compilation photo showing some of the fireworks displayed on New Year’s Eve on Lanai in the past. Though Lana’i may be one of Hawaii’s smallest islands, it’s very big on New Year’s Eve celebrations. Their beachside fireworks show from Hulopoe Bay is truly outstanding. Live performances by Brenna Whitaker and her Little Big Band. Credited with being a key influencer in the resurgence of the jazz scene in Los Angeles, Brenna is with Verve Records, owned by Universal Music Group, and known as the go-to girl in Hollywood for exclusive private events, performing at countless star-studded occasions and weddings. Fireworks sky concert. 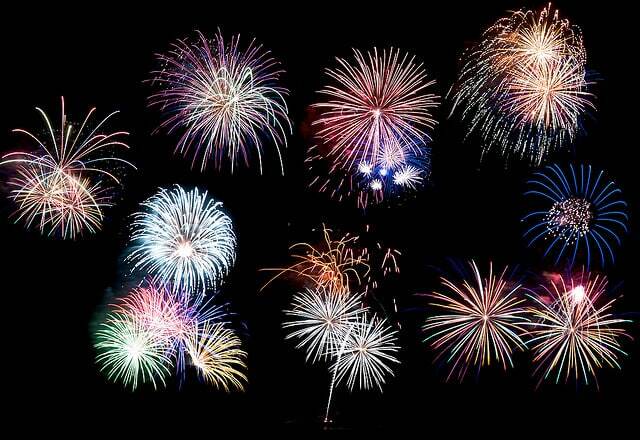 The evening will light up with a dazzling 15-minute explosive show by Pyro Spectaculars by Souza, master pyrotechnicians behind the Macy’s 4th of July fireworks, various global sporting events and more. Guests will have prime viewing from Hulopoe Beach right in front of Four Seasons Resort Lanai at Manele Bay. Dancing and a Krug Champagne toast at midnight. For more information, contact the nice folks at Four Seasons Lanai Resort at Manele Bay.